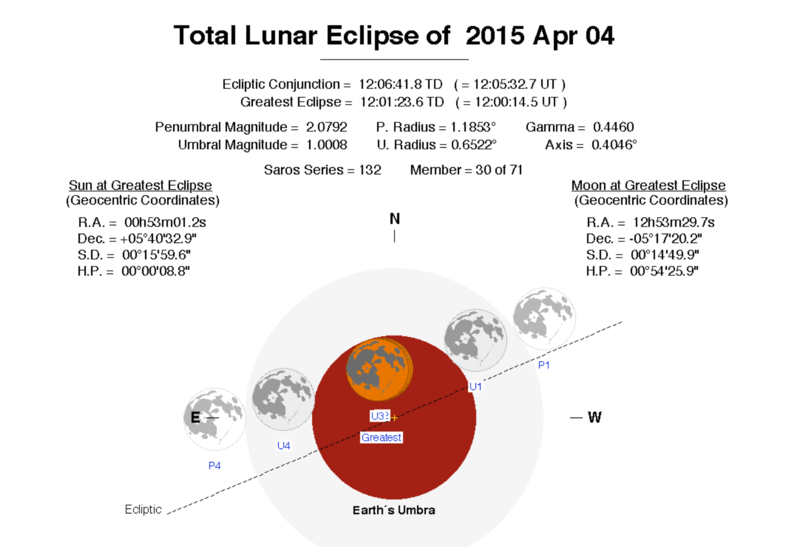 A total lunar eclipse of the full “Blood Moon” will be visible in some parts of the world on April 4, 2015. Griffith Observatory in Los Angeles, 5:00 a.m. to 9:30 a.m. Eastern Daylight Time (9:00 to 13:30 UT). Gianluca Masi’s Virtual Telescope, starting at 6:00 a.m. EDT (10:00 UT). Slooh Community Observatory, starting at 6:00 a.m. EDT (10:00 UT).